The countdown to the Los Angeles Auto Show continues as Audi has announced plans to show the redesigned A8 in the City of Angels. Originally unveiled over the summer, the 2019 A8 features an upscale design that borrows a number of styling cues from the Prologue concept. Detailed specifications will be announced closer to launch but the car features a wide Singleframe grille, OLED taillights, and plenty of metallic trim. The interior is a bit of a departure from previous models as it comes equipped with two touchscreen displays. A variety of different options will be available including a head-up display, a Bang & Olufsen 3D audio system, and a four-zone climate control system. Other options include a rear seat entertainment system and a heated massaging footrest for the right rear passenger. 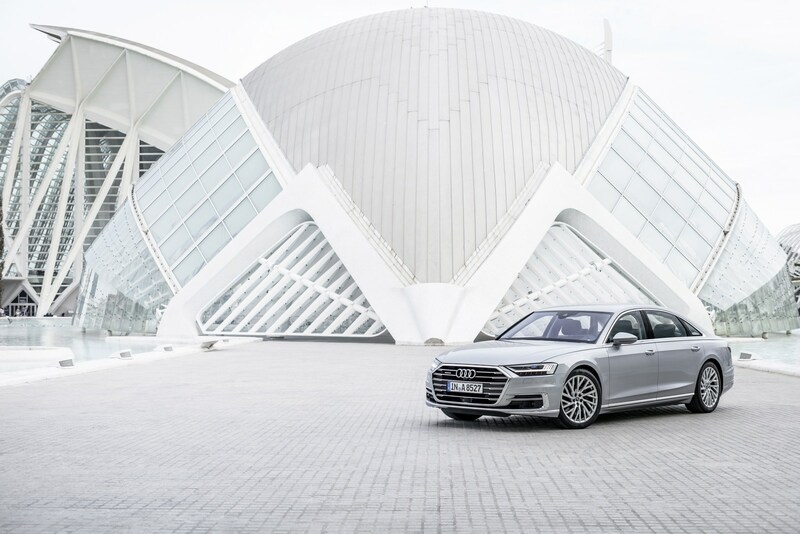 At launch, the 2019 A8 will be offered with a 3.0-liter TFSI V6 engine that is connected to an eight-speed automatic transmission and a quattro all-wheel drive system. In Europe, the engine produces 335 hp (250 kW) and 368 lb-ft (500 Nm) of torque. It enables the car to accelerate from 0-62 mph (0-100 km/h) in 5.7 seconds before hitting a limited top speed of 155 mph (250 km/h). 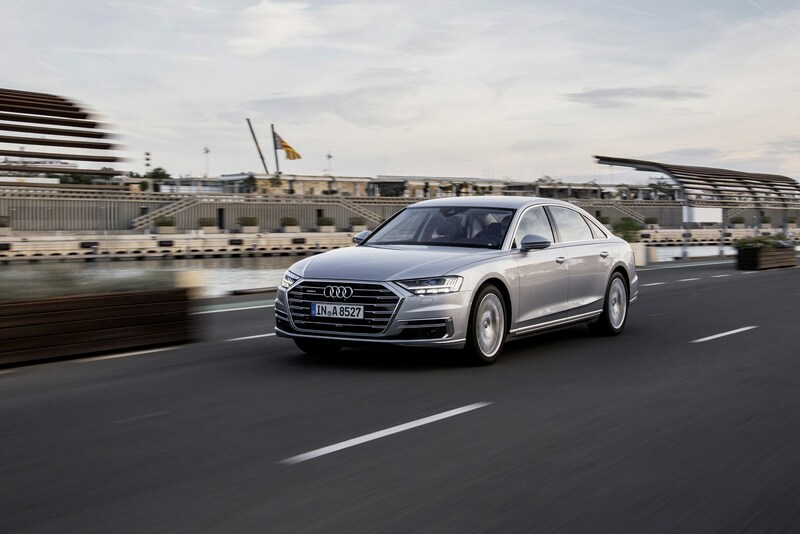 Speaking of performance, the model can be equipped with active suspension and an optional dynamic all-wheel steering system which enables the A8 to have a turning radius of 38.7 ft (11.8 m) which is about the same as the significantly smaller A4 sedan. Other advanced features include intersection assist, maneuver assist, and curb warning. 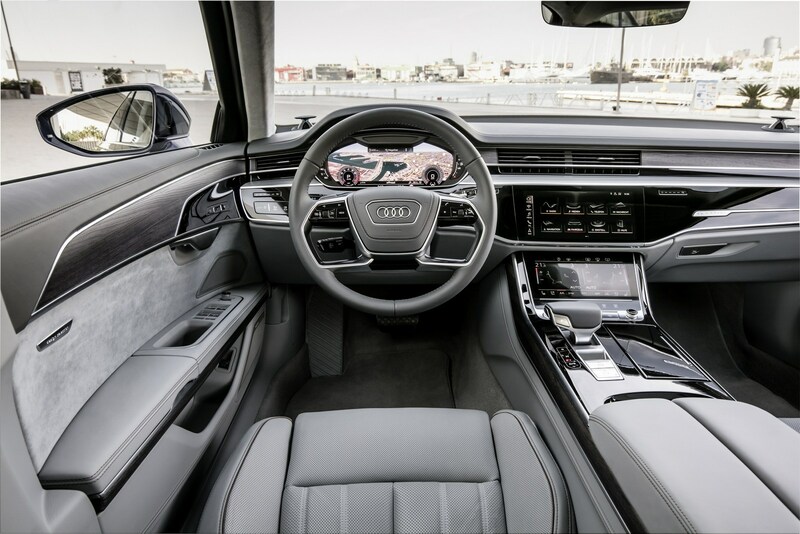 There are also two automatic parking systems and the Audi AI traffic jam pilot system which enables the car to drive itself at speeds up to 37 mph (60 km/h) on highways. 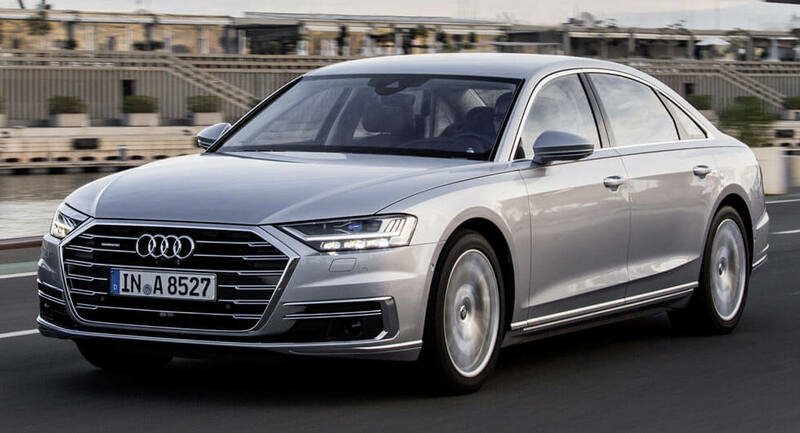 The 2019 Audi A8 will go on sale in the United States in next fall and compete with the BMW 7-Series and Mercedes S-Class.